In a change of events that may not come as too big of a shock to you, new data is out today showing that Google Chrome – Google’s super fast browser – is now more popular than Internet Explorer. This hurts a little bit for Internet Explorer and the folks at Microsoft because, like… forever, IE has been the dominant web browser. But my how times are changing for good ol’ MS. 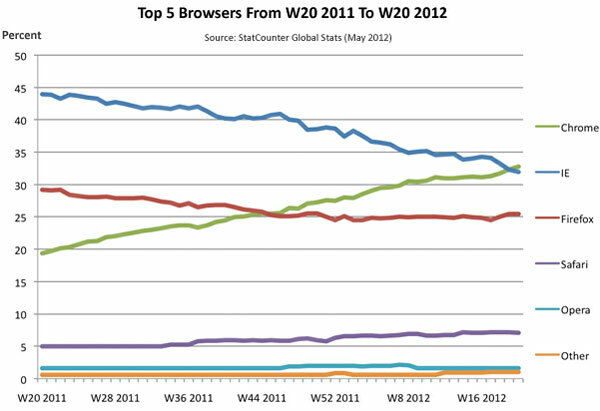 Check out the chart below to see how Internet Explorer has been tanking and how Google Chrome has been on a nice steady climb.